Back in 2001, Germain-Robin co-founder Ansley Coale partnered with St. George Spirits to create a new brand of vodka called Hangar One Vodka. 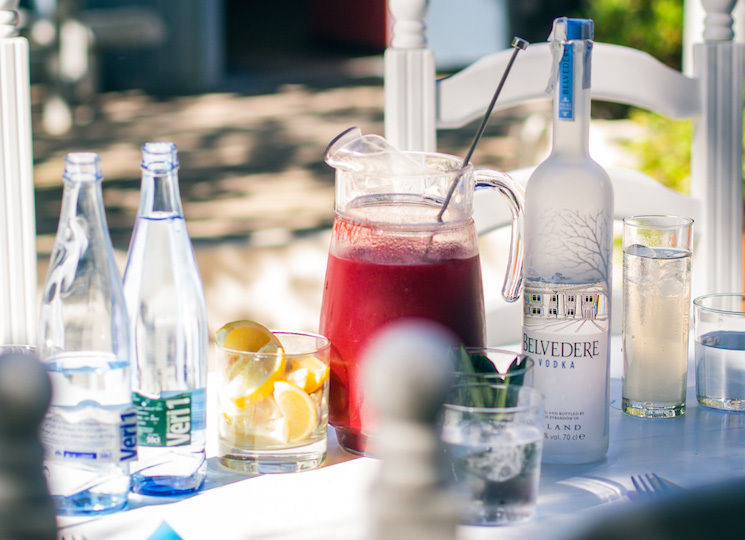 The vodka was an absolute hit and in 2010 it was sold to Proximo Spirits. 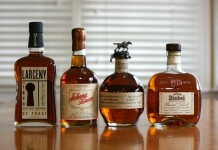 The sale was a significant one, and it was accompanied by a strict non-compete clause which prohibited the team from talking about, working on, or even selling any vodka whatsoever for 3 years. 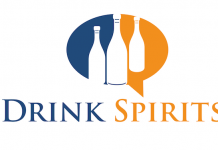 Now that the non-compete with Proximo has expired, Ansley Coale has returned to the vodka space, this time teaming up with Crispin and Devin Cain of Tamar Distillery. What Ansley Coale and Craft Distillers (formerly Germain-Robin) understand is that the vodka market is radically changing. 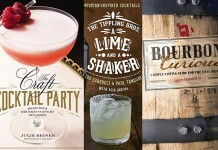 Big brands like Grey Goose and Ketel One are fiercely defending their turf from smaller producers like Titos and Deep Eddy who have managed to keep enough ties with a crafty brand image to gain significant ground in a largely image driven category. The flavored vodka craze jump-started by Three Olives and Pinnacle Vodka has run its course with every crazy confectionary flavor possible out in the marketplace. So what’s next? A couple of guys playing stripped down instruments with classic notes presented in a new way. It’s the grunge movement of the late 80’s, only in vodka. DSP CA 162 Straight Vodka (40% ABV / 8o proof, $38) is a blend of wheat vodka and vodka distilled from aromatic wine (including riesling and viognier), first distilled through the antique Germain-Robin cognac still and then redistilled in a Holstein potstill. The nose on the DSP 162 Straight Vodka is reflective of both the wheat and grape vodkas in the blend, with butterscotch and vanilla combining with white grape and orange blossoms. The nose is sweet and inviting with little to no vapors. 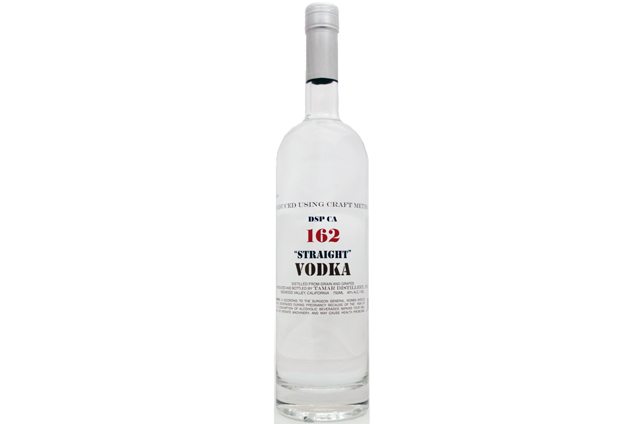 The entry for DSP 162 Vodka is light, slightly sweet and floral with vanilla, wheat grain, white grape, and orange blossom. In the midpalate a touch of subtle white pepper spice is added to the mix which brings everything together well and gives the vodka some nice structure. It’s in the midpalate that we also get a touch of nice lime citrus peel. The finish is slightly dry with a pin prick of spice on the tongue. The mouthfeel for the DSP 162 is fantastic, soft and round to start and then transitions to being more dry and clean on the finish. 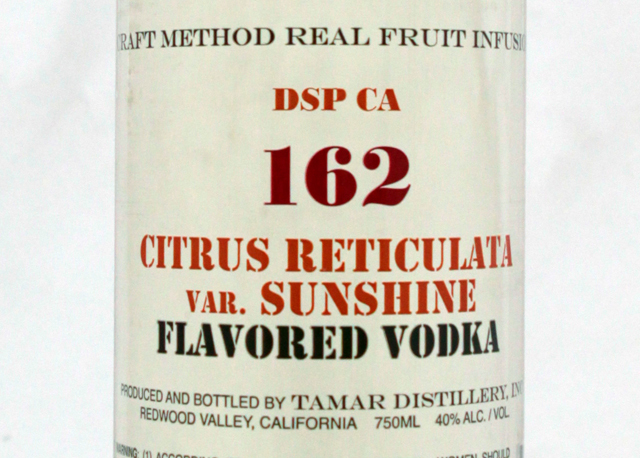 DSP 162 Straight Vodka captures the very best of what wheat and grapes bring to the equation in a vodka, and it manages to present those flavors like they were designed from the start to go together. Although the flavors are distinct, it’s nice that they aren’t heavy handed, as DSP 162 is very much a vodka and not just an eau de vie mixed with vodka. Easy enough to sip neat, DSP 162 Straight Vodka has enough structure to be mixed and it does exceptionally well with tonic. 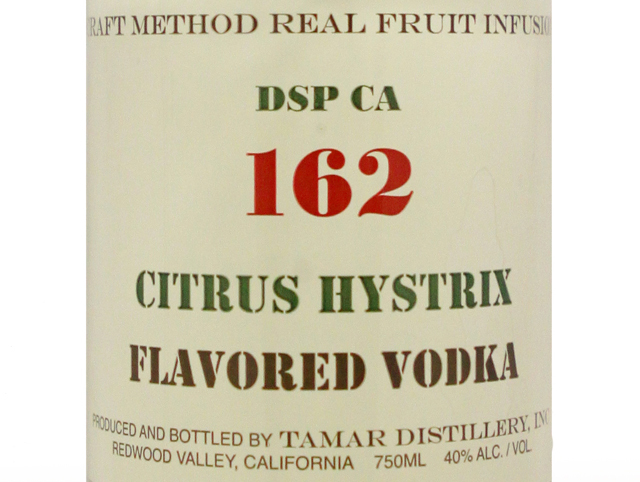 DSP CA 162 Citrus Hystrix Vodka (40% ABV / 8o proof, $38) – as with all the DSP CA 162 vodkas, the fruit for Citrus Hystrix comes from the fruit orchards of John Kirkpatrick in Exeter, Tulare County, CA. Citrus Hystrix is flavored using Malaysian limes and Malaysian lime leaves. 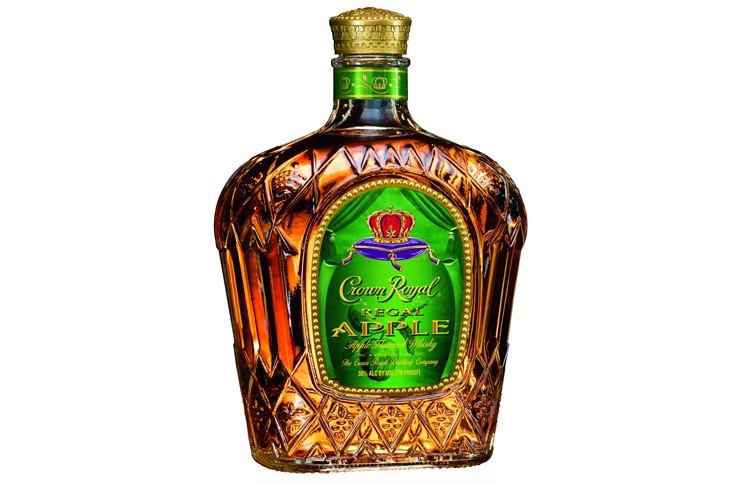 The limes and leaves are macerated in the vodka and then redistilled using the same Germain-Robin’s antique cognac still used to distill the grape vodka for DPS CA 162 Straight Vodka. Very pale green in color, the nose on the Citrus Hystrix Vodka captures the whole spectrum of lime, from the bitter rind to the tart flesh and the savory leaves, and it adds to the mix a sweet vanilla note that makes it all come together like a great piece of key lime pie. The entry for Citrus Hystrix Vodka is as solid lime as the nose; here it’s even more like key lime pie. 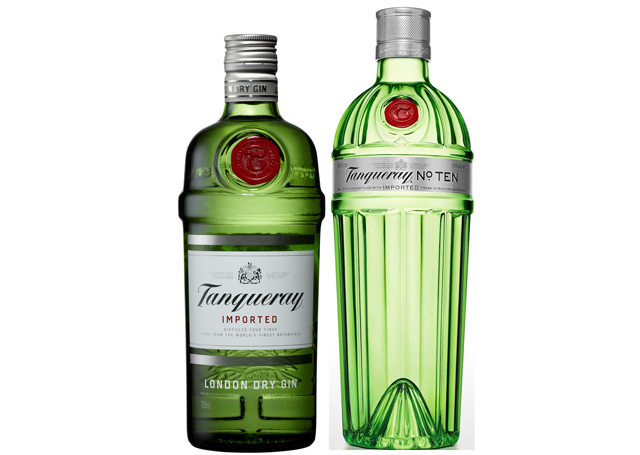 The sweetness of the opening does give way to a midpalate which showcases the lime rind and a more tart lime flavor. The sweet element is still there in the midpalate, but it’s dialed back considerably. Towards the end of the midpalate we get a solid white pepper spice which gives balance and structure to the vodka. 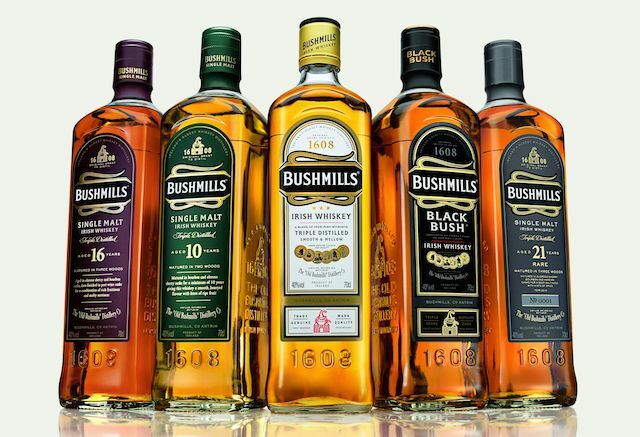 The finish is extremely long and slightly dry, showcasing lime peel and lime leaves. Calling DSP CA 162 Citrus Hystrix Vodka a “lime flavored vodka” is a little like calling Beefeater’s Gin a “juniper flavored vodka”. There’s so much more going on here than just a flavoring. Ansley Coale along with Crispin and Devin Cain haven’t just captured the flavor of lime in their vodka, they’ve captured the absolute essence and showcased it in a way that could appeal to drinkers who would never in a million years see themselves drinking a flavored vodka. DSP CA 162 Citrus Medica var. 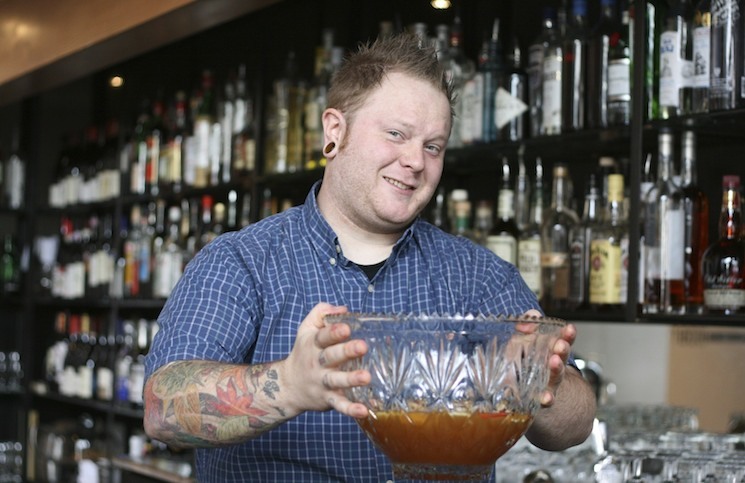 Sarcodactylis Vodka (40% ABV / 8o proof, $38) – as with the Citrus Hystrix, the Buddha’s-hand citrons come from the fruit orchards of John Kirkpatrick. Buddah’s-hand is more aromatic than lemon and has a bitter element to it which brings it closer to lime flavors. Light yellow in color, the nose is citron with a pithy citrus peel that has an undercurrent of sweet citrus. The nose reads like a best of “hit” record with all the best citrus elements of lemon, lime, and orange. The entry for DSP CA 162 Citrus Medica var. Sarcodactylis Vodka tastes like citron zest without any of the bitter pith, citrusy and ever so slightly sweet. It’s a delightful flavor that really invites you to savor and enjoy it. In the midpalate things turn slightly more bitter, but without dropping the fantastic opening notes. A little pepper spice gets added to the mix which helps add to the complexity. 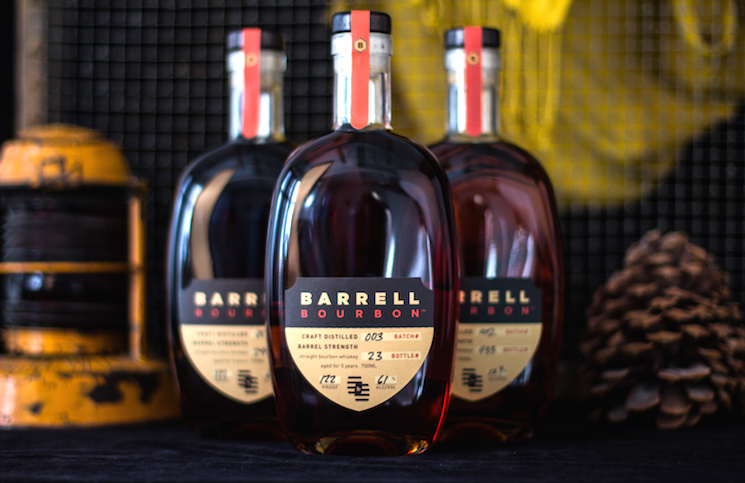 There’s a lot to dig through in the midpalate with so many different citrus elements spanning from slightly sweet to fairly bitter. The finish is long and slightly dry, and it does a superb job of showcasing the core citrus flavor that runs throughout this vodka. 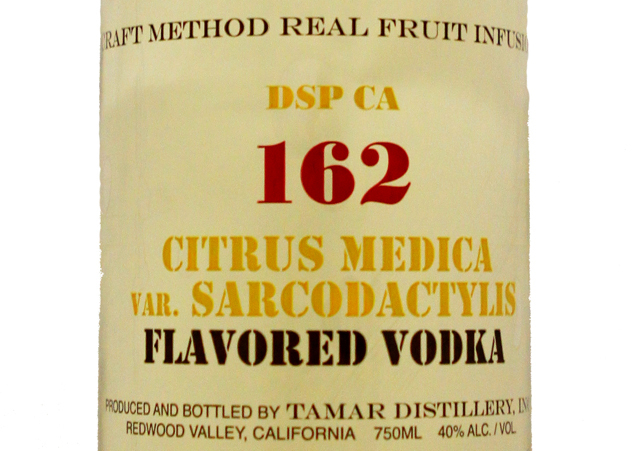 It’s hard to remember savoring and exploring a vodka as much as we did with DSP CA 162 Citrus Medica var. 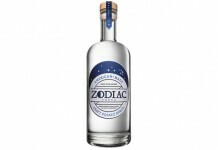 Sarcodactylis Vodka. 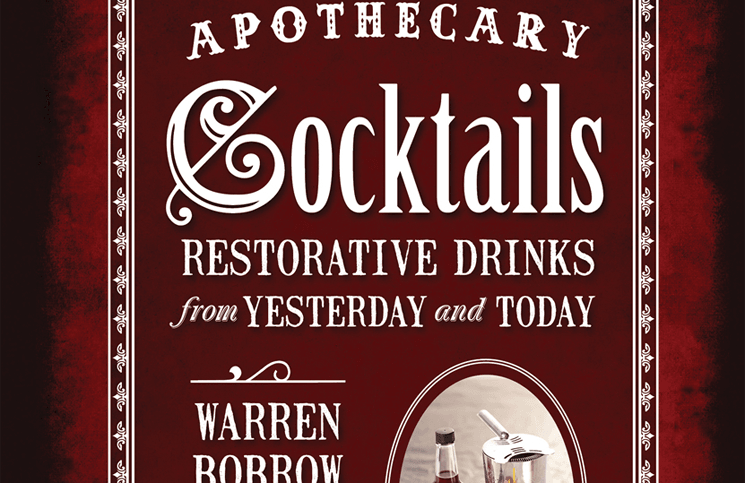 The complexity of citrus notes along with how they are presented is nothing short of outstanding. Even though this Citrus Medica var. Sarcodactylis Vodka is bursting with flavor, it’s not overdone. There’s a sense of balance and understanding of the boundaries for these different flavors, and it all comes together in one of the best flavored vodkas we’ve had yet. DSP CA 162 Citrus Reticulata var. 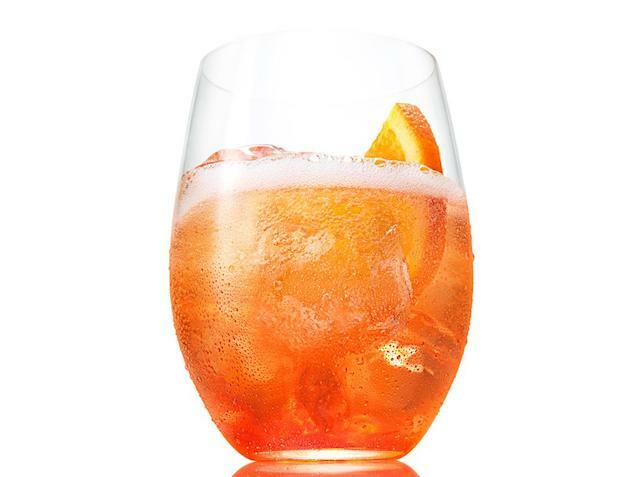 Sunshine Vodka (40% ABV / 8o proof, $38) – light orange in color, the nose on the Citrus Reticulata captures the essence of tangerine with the intensely aromatic and solidly bitter peel, the sweet flesh, and underlining tart from the fruit. The nose on this vodka makes it clear that the person who made it spent a great time working to deconstruct all the aromas and elements in a tangerine and understand how to assemble them together in a spirit that captures its pure essence. The explosive entry of the Citrus Reticulata is like biting into a tangerine. As with the other “flavored” vodkas in the DSP 162 line, the midpalate has all the elements of the fruit presented with such nice complexity that it’s hard to not linger and savor all the fantastic flavors. The midpalate also has a slight pepper spice note that brings everything together and helps create a space with sweet, tart, bitter, and spicy all in harmony. The finish is long and slightly dry with the slightly bitter and tart elements of the tangerine showcased. DSP CA 162 Citrus Reticulata var. 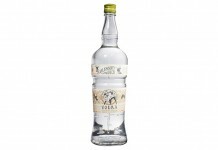 Sunshine Vodka is spectacular and will impress even the most ardent critic of flavored vodka. 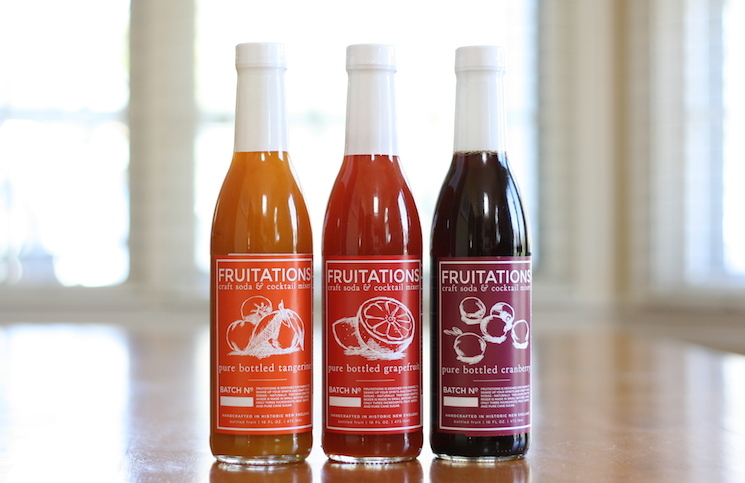 It’s so refreshing to see citrus flavors presented so true to life, but beyond that, with an understanding of how some of the elements of the fruit that we can’t conventionally eat can be paired with those we can to provide a unique experience only a spirit could provide. 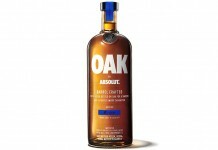 Last year, Nick Strangeway collaborated with Absolut Vodka to make Absolut Craft, an extremely limited edition flavored vodka that came at flavoring vodka in very much the same way that you flavor gin. 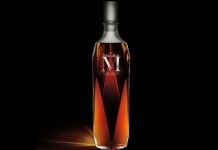 That product was so expensive to produce and so limited in its distribution that few ever got to try it. Ansley Coale with Crispin and Devin Cain have really taken this concept to the next level with products that defy the flavored vodka category. The DSP 162 vodkas aren’t just flavored vodka, they are a presentation of the essence of things and represent an exciting new direction for the vodka category. With bright and complex flavors, these vodkas bring a tremendous amount to the equation and should breathe some new life into the well-treaded category of vodka cocktails.